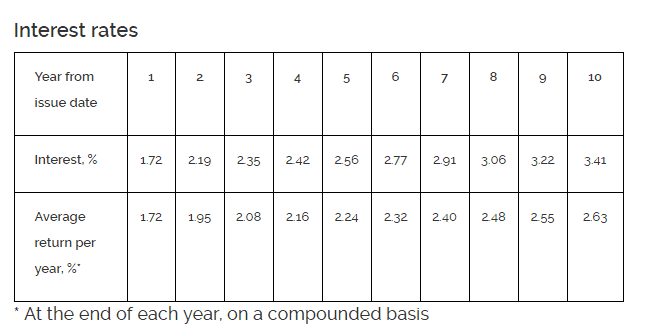 However, if you only hold the SSB bonds for 1 year, with 2 semi-annual payments, your interest rate is 1.72%/yr. $10,000 will grow to $12,661 in 10 years. 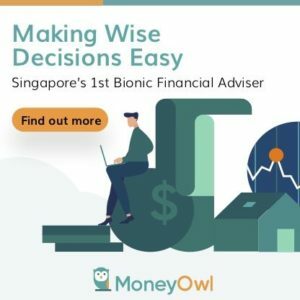 A single person can own not more than SG$100,000 worth of Singapore Savings Bonds. 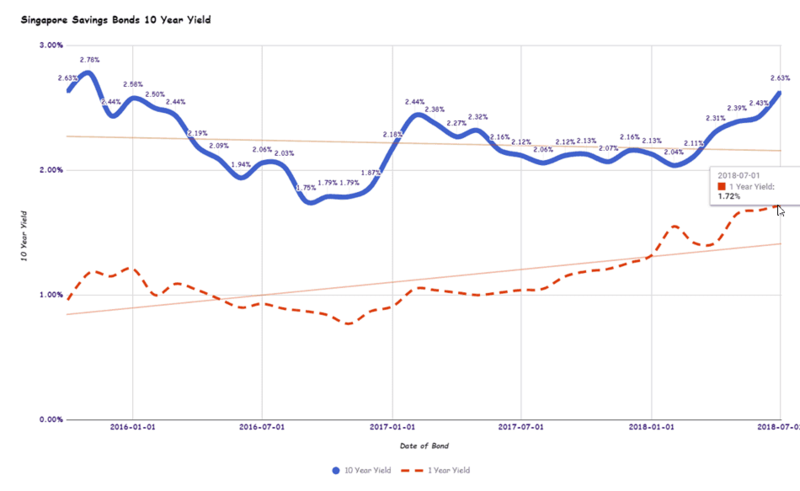 Last month’s bond yields 2.43%/yr for 10 years and 1.68%/yr for 1 year. 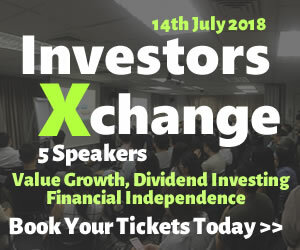 Tickets for this Years Value Growth and Dividend Investing Conference is still On! Grab it Today! May I know if the interest from having this Spore Saving Bond need to pay personal income tax ? No there is no need.